Cody Willoughby | AIM Media Midwest Keivon’ta and Kyonna Dunbar, 6 and 7, take a photo with grandmother Kim Barnett during Grandparents Day on Wednesday at Piqua Catholic School. 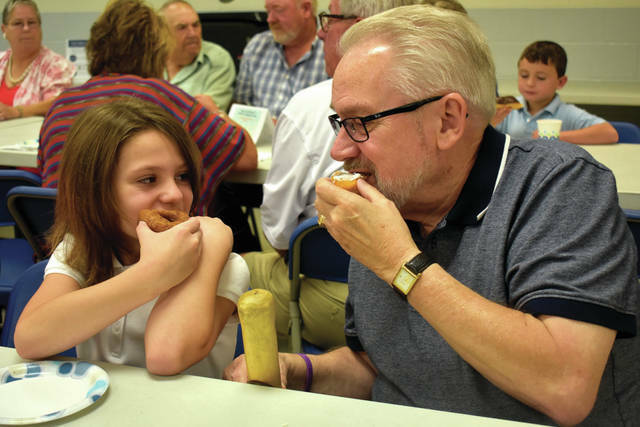 Cody Willoughby | AIM Media Midwest Carey Yant, 8, and great-grandfather Glenn Devers, of Piqua, bite into donuts during breakfast served at Grandparents Day on Wednesday at Piqua Catholic School. PIQUA — Marking a tradition nearly 10 years running, Piqua Catholic School celebrated Grandparents Day in style on Wednesday, as grandparents and great-grandparents were invited for a special Mass and breakfast event with students of all ages. Over 130 grandparents were in attendance for the approximately 120 students grades K-8 and 51 preschool students. Following morning Mass, students and their grandparents were able to tour the halls and classrooms, shop at the school Book Fair, take photos at a selfie station, and dine on a complimentary breakfast in the cafeteria. 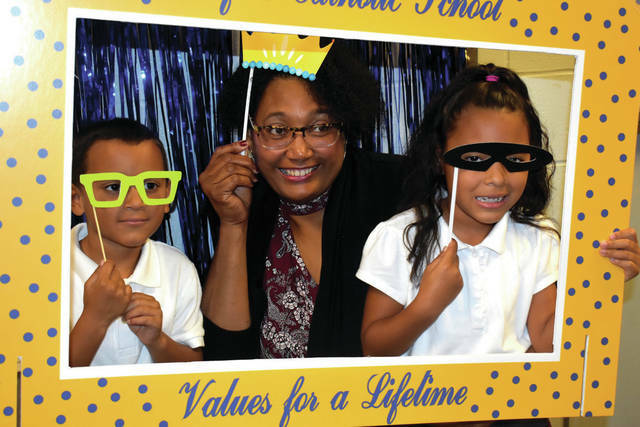 https://www.dailycall.com/wp-content/uploads/sites/30/2018/09/web1_Grandparents1.jpgCody Willoughby | AIM Media Midwest Keivon’ta and Kyonna Dunbar, 6 and 7, take a photo with grandmother Kim Barnett during Grandparents Day on Wednesday at Piqua Catholic School. https://www.dailycall.com/wp-content/uploads/sites/30/2018/09/web1_Grandparents2.jpgCody Willoughby | AIM Media Midwest Carey Yant, 8, and great-grandfather Glenn Devers, of Piqua, bite into donuts during breakfast served at Grandparents Day on Wednesday at Piqua Catholic School.